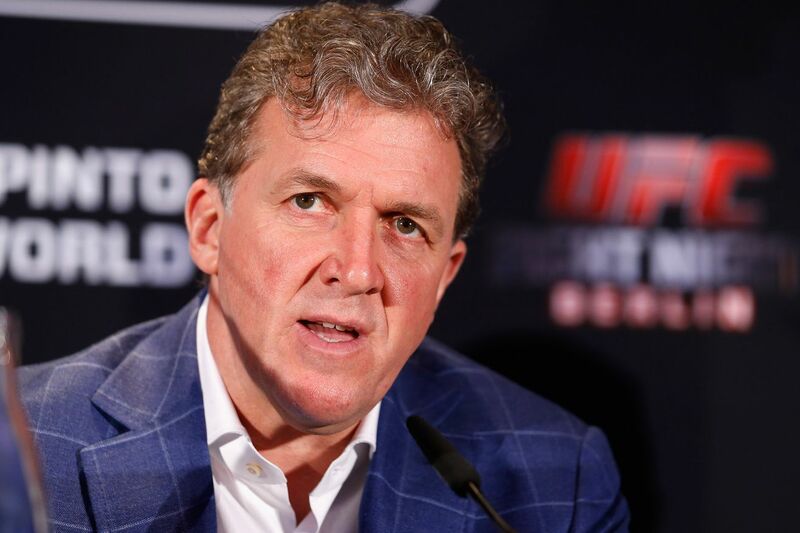 Garry Cook, one of the most influential people in the UFC, was laid off as the company’s chief global brand officer Tuesday. Cook had been with the UFC since 2012 when he was hired as the promotion’s Europe, Middle East and Africa managing director. The England native had previous worked as the CEO of Manchester City Football Club. Two years ago, Cook was promoted to his most recent position after a successful run expanding the UFC internationally. UFC president Dana White has described him as a “rock star” and “stud” in the industry. This has been a magnificent experience with one of the greatest sports enterprises of the modern day. I am thankful and proud to have played a part in their brand story working with Lorenzo Fertitta, Dana White, Lawrence Epstein and all the talented individuals at the UFC. With the new leadership from WME/IMG the next era of continuing to redefine the global sports landscape is very exciting. I wish them well delivering on their vision for success. Along with Cook, chief content officer Marshall Zelaznik, Asia managing director Ken Berger and Latin America director Jaime Pollack were all let go by the UFC on Tuesday. Social media director Shanda Maloney, senior vice president of technology Ed Muncey and controller Brad Smuckler were other well-known names laid off. The cuts come just three months after WME-IMG purchased the UFC from the Fertitta brothers for more than $4 billion. A UFC official told MMA Fighting’s Ariel Helwani that the layoffs represented less than 15 percent of the company’s workforce. The UFC employed approximately 350 people before the cuts.